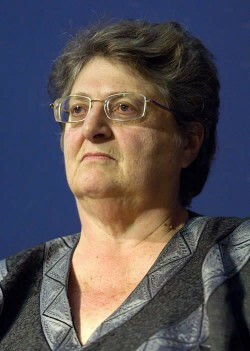 The Independent Municipal and Allied Trade Union (IMATU) welcomes the decision of the Governor of the South African Reserve Bank (SARB), Gill Marcus, to keep the repo rate unchanged at 5.0%. “While a rate cut would have been preferable, we are nevertheless pleased with an unchanged repo rate. Our members have faced steep increases in administered prices such as petrol, water, public transport and electricity and our Gauteng members found out yesterday that e-toll tariffs will being on 3 December 2013. Increased interest rates would put excessive and unaffordable pressure on workers,” explained IMATU General Secretary, Johan Koen. 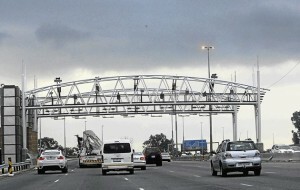 The Independent Municipal and Allied Trade Union (IMATU) is very disappointed by the announcement that e-tolls will commence from 3 December 2013. Today Minister of Transport, Dipuo Peters, announced that the South African National Roads Agency (Sanral) would begin levying tolls on specific Gauteng freeways from 3 December 2013. “IMATU is very disappointed that alternative funding mechanisms for the Gauteng Freeway Improvement Project (GFIP) have not been explored. Public consultation revealed huge opposition to this model of e-tolling, the way in which the programme has been funded and the way in which it is going to be rollout., IMATU is very concerned about the effects these additional costs will have on its members and South African citizens in general. E-toll tariffs will increase the cost of transport and doing business in the Province, which will in turn affect the prices of goods and services. Many South Africans will have to dig deeper into their already dwindling disposable income to pay this additional levy,” explained IMATU General Secretary, Johan Koen. The process of e-tolling has been pushed by Government as the best method to collect fees to fund the GFIP and create employment. There has, however, been large-scale rejection of the system, because of high operation costs, lack of transparency and allegations of fraudulent selection and procurement processes. IMATU is further troubled by claims that existing gantries on the Gauteng highways are only the first phase of the e-tolling project. Documents relating to the e-toll tariff structure do not advise of specific annual increases, creating further apprehension around the possibility of runaway tariff escalation. “While we firmly support the vision of a reliable, efficient and quality public transport system, further taxation of select road users is not necessarily the solution. Alternative funding mechanisms that do not place such a burden on select users should have been thoroughly explored. 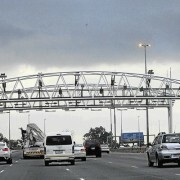 We need definite answers relating to whether e-tolling will be expanded in Gauteng as well as other Provinces,” stated Koen.